The 28th edition of Maralal Camel Derby took place on Thursday 31st in Samburu County. This is an annual event, held every year just outside of Maralal town. 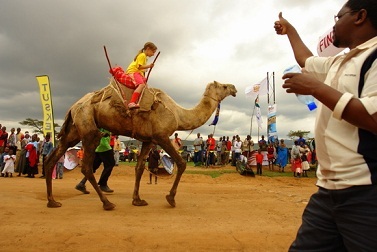 It is Kenya’s best known and most prestigious camel race, attracting both local and international competitors. The event is a major draw for spectators as well as racers, and the competition is fierce. The Maralal Camel derby is more than just a race. It is an entertaining festival of fun and local competition that brings this small desert town to life. The event is currently taking place today 31st August 2107.